This week's Freshly Made Sketches challenge was my jumping off point for my card. And you know what? You can play along too. Once you make your card, be sure to link it to their challenge sight. Such pretty paper! Very sweet card! I love how you framed the sentiment! What wonderful papers! Glad you joined us this week at Freshly Made Sketches! Great colors. The mix of paper is fabulous! Thanks for joining us at Freshly Made Sketches! This is really pretty Susie, I love that you flipped the sketch on its side! Thanks for joining us at FMS. 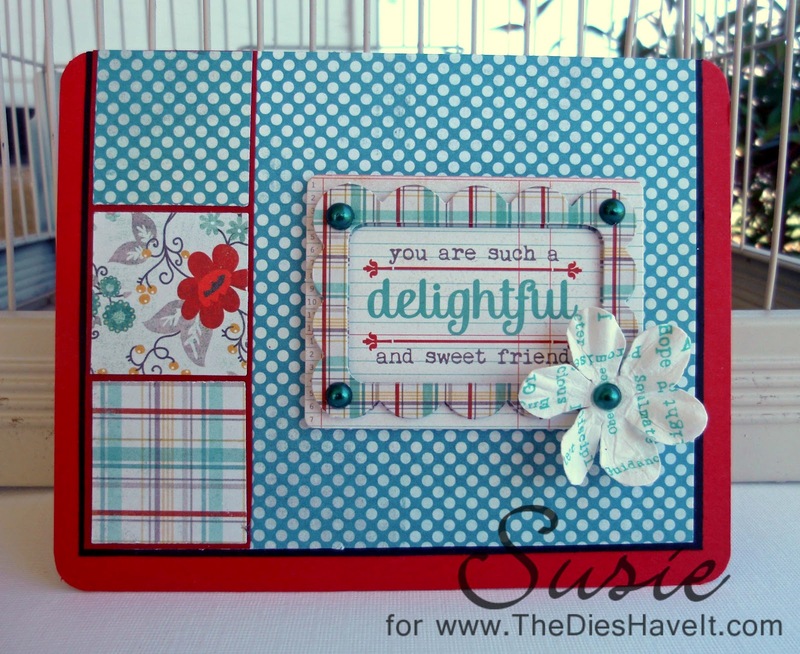 Gorgeous card Susie ... 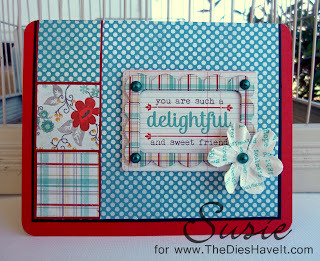 I love your take on the sketch and those patterned papers are lovely! Very pretty card! Great for a girl for sure! !